They do very good work, they're very top-notch carpenters, and they know what they're doing. I feel like they have skills where they're just great at working with large lumber pieces and they can make everything fit together perfectly. They aren't like other carpenters that just slap something together and want to just get the job done in the shortest amount of time possible. Everything always looks great and they always take their time on the project. I had a tremendous experience with Pacific Circle. I'm in my 60's and I've worked with countless contractors in my lifetime. 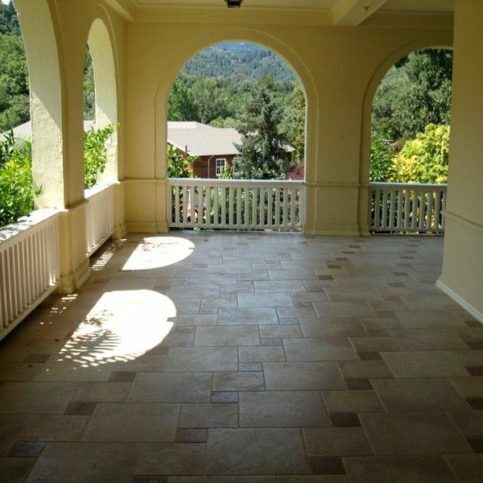 No other company has come remotely close in delivering the quality that Pacific Circle does. They really have their act together. Working with them was like a breath of fresh air to know that I've finally found an amazing contractor that I'm going to continue to use forever. They're very creative, professional, they have phenomenal attention to detail, they have a very good work ethic, they're very sensitive to your needs, and they are just super people. I liked the quality of their work. They are the epitome of an amazing company. They're competent, knowledgeable, and very hardworking. They have outstanding attention to detail, they're very diligent, they have always responded to both emails and phone calls very promptly, and they provide the most excellent, personalized service. I liked their ability to retain even the smallest details on a project and make them meaningful. 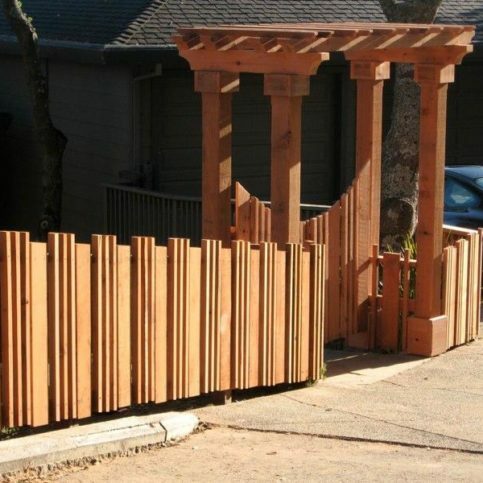 Pacific Circle, Inc. creates decks, patios, fences, arbors, railings and artisan gates for residential clients throughout Marin County. 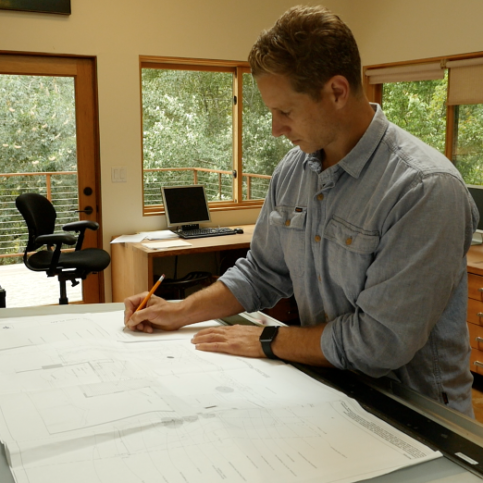 The company takes a design/build approach to its projects by employing both in-house designs and carpenters who handle everything from design consultations to final installations. 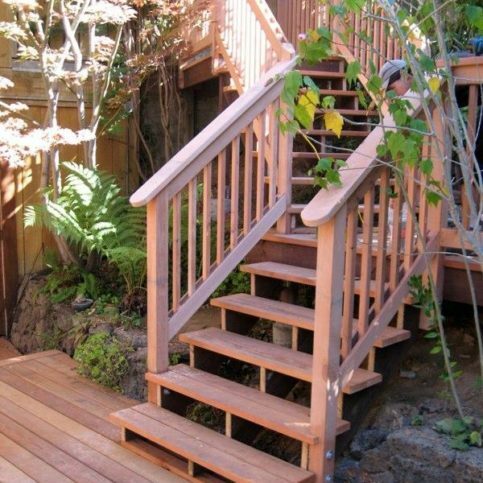 Pacific Circle proudly uses Green construction methods and environmentally-friendly materials—it can build with reclaimed and FSC Certified lumber upon request, and it also creates decks made from composite materials. 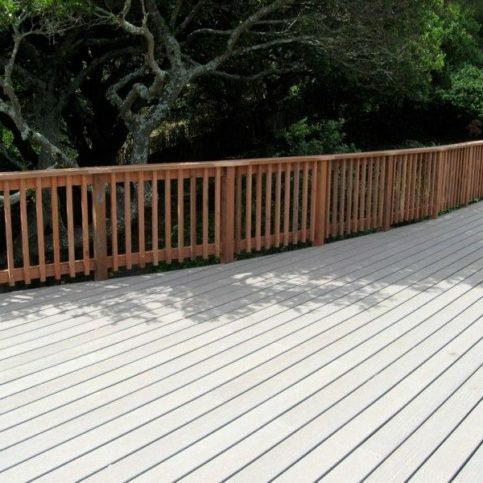 “Composite decks offer superior durability with minimal maintenance,” says Mr. Stieg. 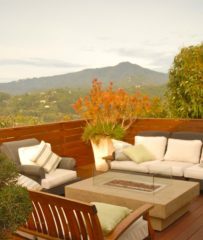 DIAMOND CERTIFIED RESEARCHED CAPABILITIES ON Pacific Circle, Inc.
Company Name: Pacific Circle, Inc.
DIAMOND CERTIFIED RESEARCHED ARTICLES ON Pacific Circle, Inc.
Pacific Circle designed and installed this outdoor living area. 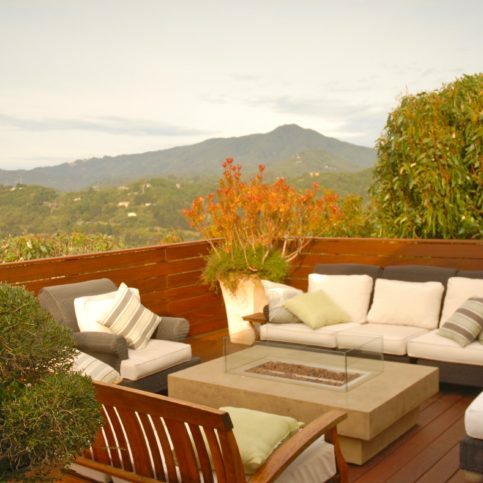 Pacific Circle has been building decks, patios, fences, railings, artisan gates and arbors for residential clients throughout Marin County since 2002. The company employs both in-house designers and carpenters, so it’s able to handle every step of its customers’ projects, from the initial design consultations to the final installations. 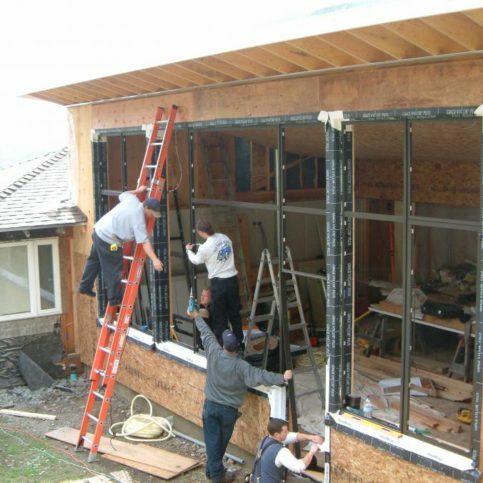 It’s also known for utilizing Green construction methods and environmentally-friendly materials whenever possible. 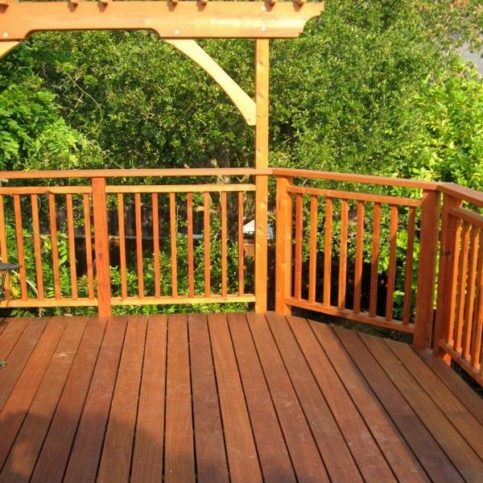 One of the most crucial components of a new deck is the railing, which acts as a necessary safety feature. When it comes to choosing the material style for a railing, Mr. Stieg recommends steel cable. 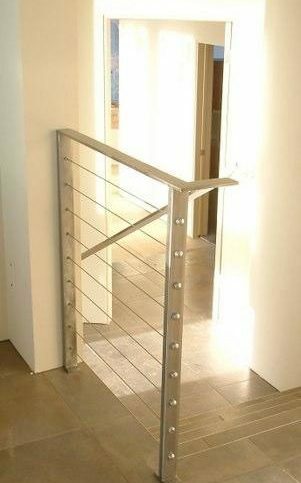 “Cable railings are attractive for a number of reasons,” he says. 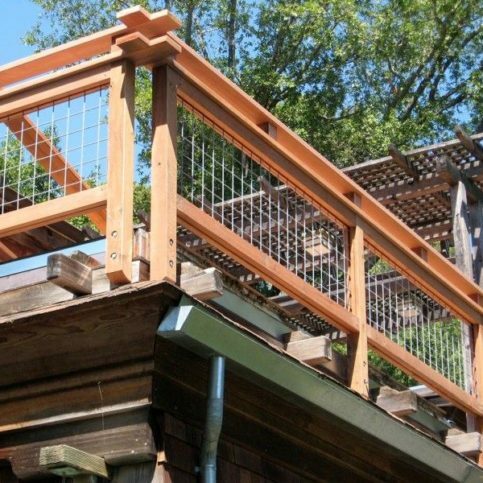 “They’re transparent, so they don’t make you feel like you’re caged in, and they’re incredibly sturdy and durable.” Another benefit of cable railing is its low maintenance requirements, which saves time and money over the years. 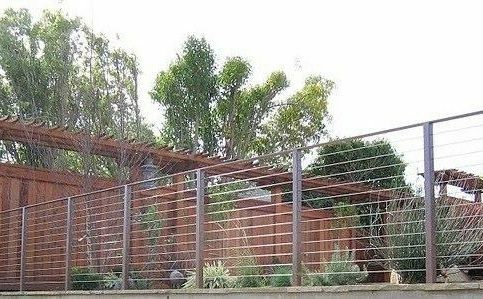 If you decide to go with cable railing, the next decision to make is whether to choose a prefabricated system or a custom made system. According to Mr. Stieg, there’s really only one viable option. “I always recommend a custom made railing system,” he says. 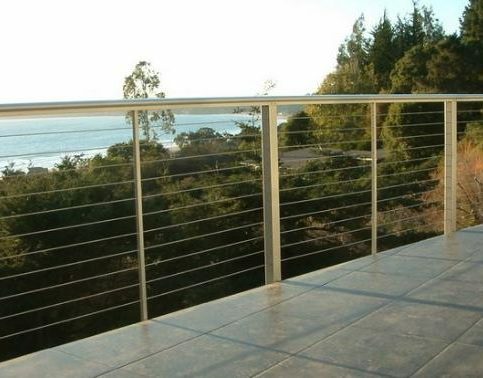 “It’s the difference between a bunch of aluminum pieces that are screwed and bolted together versus solid steel that’s welded together—an assembly versus a solid piece.” If you decide to go with a prefabricated cable railing system, make sure you choose a high-end brand that uses quality stainless steel components, as some inexpensive off-brand products tend to be low-quality and often can’t pass code. A: It depends on a lot of variables, but when we give you the initial estimate, we’ll include a completion timeline that outlines your project from start to finish. On average, we can complete most projects in 1.5 to 2.5 weeks. Q: How long do I have to wait to get an estimate? A: We can usually schedule an estimate within a week of your initial call, although it might be closer to two weeks during the busy season. Q: Do I need to get a permit for my project? 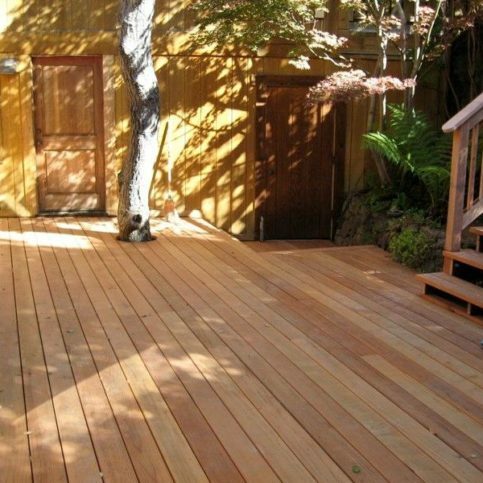 A: People often think replacing an existing deck, patio or garage doesn’t require a permit, but it usually does. We have relationships with the building departments in the areas we service, so we can let you know the requirements of your project before work begins. 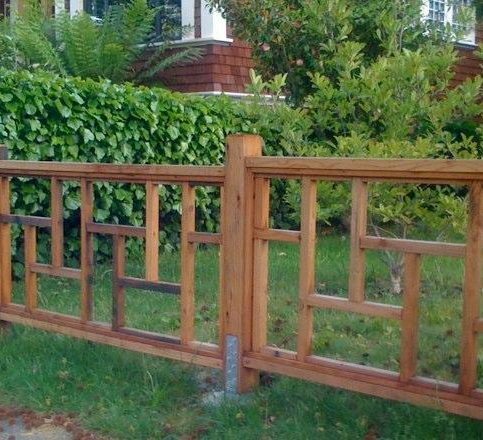 Q: If I want a driveway gate, does it have to be custom made or can I get an off-the-shelf gate? A: Sometimes we can find a prefabricated gate that will work for your needs, but more often we custom fabricate driveway gates for our clients. 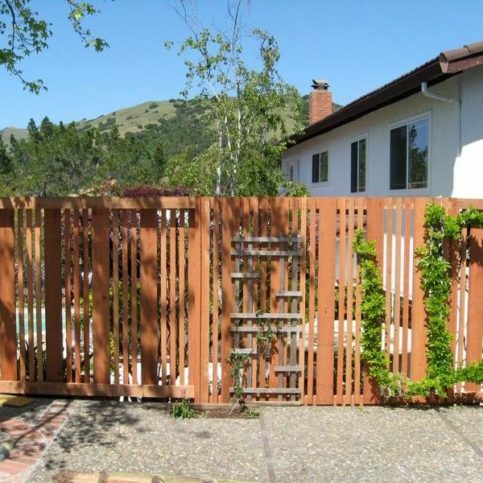 The level of quality for prefabricated gates on the market is pretty low. Since we have our own metal shop, we can build a gate that matches the price of a prefabricated product but is custom designed for your property. 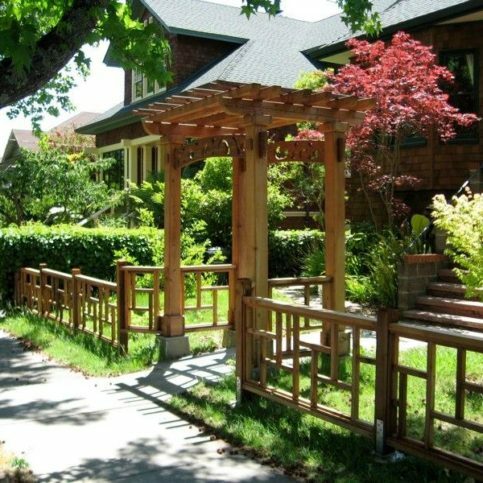 Q: What are the most common applications for an arbor? 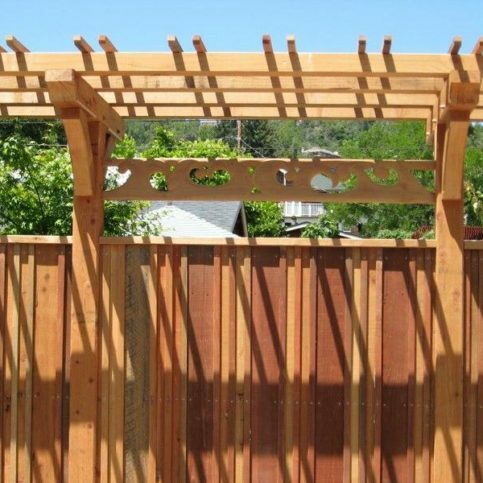 A: Arbors are usually used in entryways to gardens or houses. They can range from very small and simple to extravagantly crafted and designed. 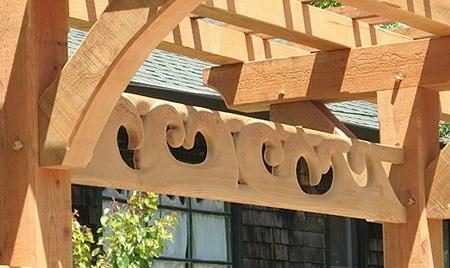 We love building arbors—they’re fun to create, and our customers are often very happy after they’re installed because they really add value to the front of a house. SELECTED PHOTOS FROM Pacific Circle, Inc.
Brandon Stieg is president of Pacific Circle, Inc., a Diamond Certified company since 2007. He can be reached at (415) 785-8044 or by email. A: Iron Springs Pub & Brewery in Fairfax. A: A dog person—I have a young Brittany Spaniel named Moki. A: I used to be a professional snowboarder, and I participated in the World Extreme Championships, where they’d drop you off in a helicopter at the top of a mountain and whoever did the most intense run-down was the winner. Those were definitely my thrill-seeking days. A: Surfline.com. It gives you the current swell conditions and weather forecasts for surfing. A: Metal and woodwork from the Industrial Revolution. 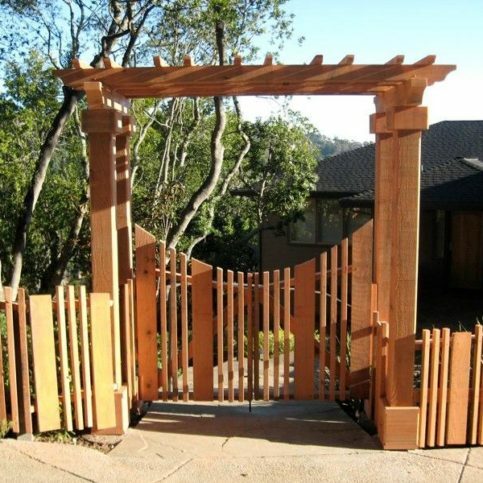 Whether in the front or back yard, entry gates are an important part of any fence. 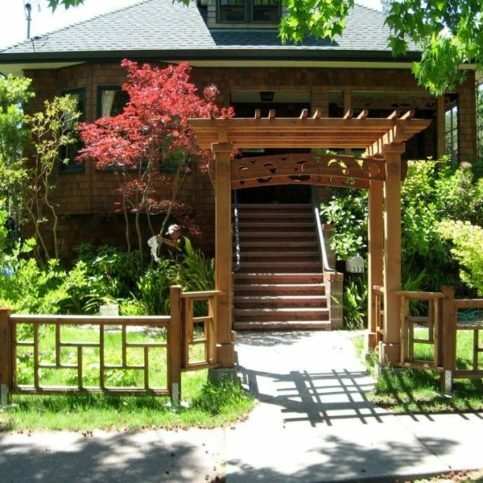 However, when they’re built with wood, issues can arise. 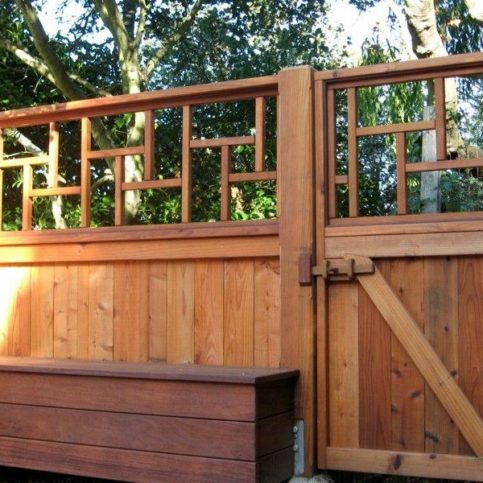 Since wood expands and contracts with the changing seasons, homeowners often experience trouble with their gates latching properly. 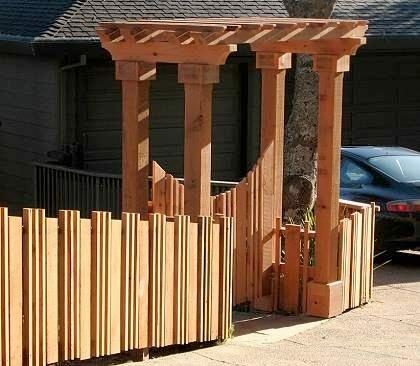 This can be addressed by installing a metal frame around the gate, which will keep the wood contained and prevent latching issues. Adding a metal frame to a gate isn’t very expensive, and there are lots of options available for hardware components like levers and handle sets. 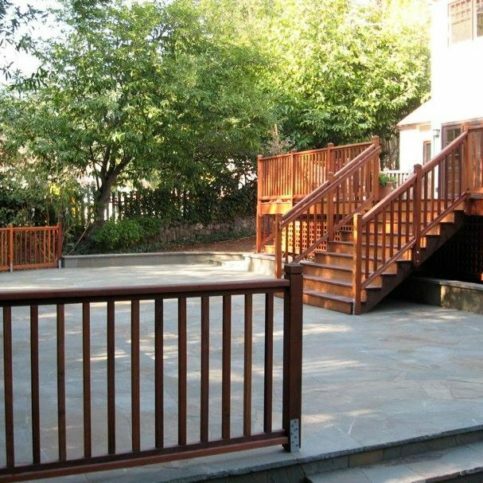 Any natural wood deck requires maintenance, and that includes the railings. 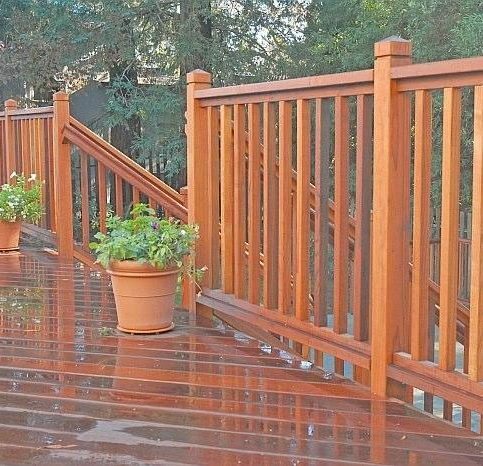 Unfortunately, wood railing pickets are very difficult to maintain, due to the tedious nature of pressure washing, sanding and staining them. To avoid this, consider installing cable railings. Unlike wood, metal cables are basically maintenance-free, which saves a lot of time and money. 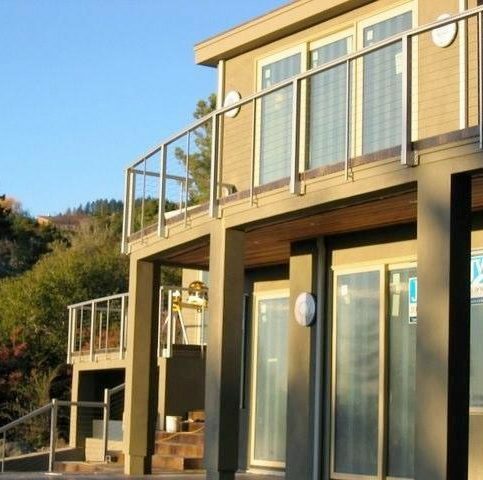 As an added bonus, due to their thinness, cable railings won’t obstruct the view from your deck. LAGUNITAS — Host, Sarah Rutan: When it comes to installing a new entry gate, the addition of a metal frame can prevent a lot of problems. Today we’re in Lagunitas with Diamond Certified Expert Contributor Brandon Stieg of Pacific Circle to learn more. Diamond Certified Expert Contributor, Brandon Stieg: One thing I’d recommend to our customers and I do recommend quite often is to consider utilizing metal, or a metal frame, for their entry gates. Specifically, if it’s your primary entrance to the home. A metal frame can save you a lot of headache. It’s not more expensive than a well-built wooden gate. It allows you a variety of hardware options, in terms of opening and closing that gate. And, you know, nice-looking levers or handle sets. So, consider a metal frame when you’re doing your gate next time. And you could save yourself quite a bit of headache in terms of that expansion and contraction, and the binding that occurs with wooden gates over the seasons. Diamond Certified RATINGS ON Pacific Circle, Inc.
Pacific Circle, Inc. : Average 9.5 out of 10 based on 157 unique customer surveys of customer satisfaction. They're creative, reliable, and fast. They're professional, skilled, and I would recommend them again. They were good, they didn't listen well, but we like what was done. Just the overall work is good. That the quality was very good, and they were easy to work with. That they showed up on time, and did good work. We've recommended them to anyone who needs work on their deck or railings. They did an amazing job and we loved working with them. 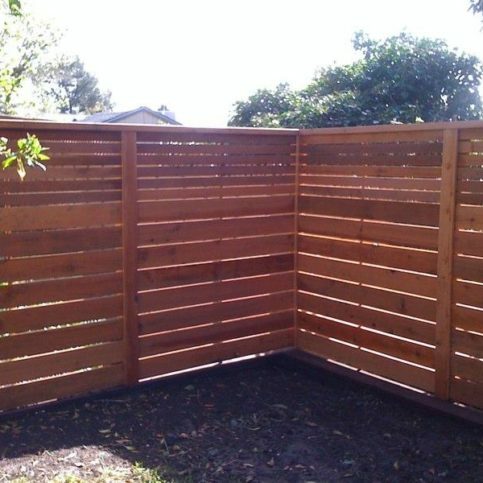 They're also good with fences, they did our back fence. Working with Brandon is great and he really knows what he's doing. He's an artist as well as a carpenter. 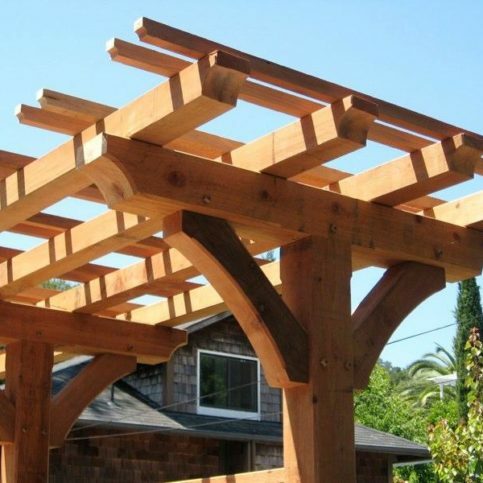 He did a great custom pergola for us and they were just great. I thought they did a wonderful job, I am very happy with the end result. They made our deck look great. I would say that they're incredibly professional, they do great work, and I wouldn't always have them at my house. Just the quality of work, and that they really left everything so cleaned and taken care of after the job. I've used them for several jobs, and it says a lot that they've been back more than 3 times. I would just tell them that they were a really good choice and they're probably the best at what they do. Quality of work, friendly guys, pretty much everything honestly, they were great. I would say they do quality work, their team is friendly, and I think Brandon is a solid, good, honest contractor. Quality of their work, I think everything is good. I would recommend people use them, at least see if they can get you what you want, they are very affordable for the quality in which they work. The quality is perfect for the cost. Very high quality work, very creative, and very involved in the projects, they were a pleasure to work with. Work with Brandon if they get the chance. He was great. They were very creative, reliable, and high quality. I would highly recommend them. I think they were great. The communication was good and the job was efficient and done right, very good staff. Very easy to work with, great attention to detail, very customer service oriented and I enjoyed working with them. They did a great job and great workmanship. They understood what we wanted and were very professional. I love my deck. They are creative, extremely efficient, skilled, communicative, respectful, and I am 100% satisfied. The owner is very artistic and creative and I am amazed at how they were winded up and ready to roll, not your typical independent contractor where you are not sure if they are going to show up. They're great people. They work with you.